Paynesville – A local non-governmental organization has released its 270 days report on the President Meter Project with a call to the government of President George Weah Government to do better on its promises made during the 2017 campaign. Naymote Executive Director Eddie Jarwolo told a news conference over the weekend that the report presents the findings of promises tracked, documented, monitored and rated against progress made by President George M. Weah and the Coalition for Democratic Change (CDC) between the period January 22 to October 31, 2018. According to Jarwolo, 10 out of 85 promises made by President George Weah have been made so far while the remaining 75 are yet to be looked at. “Of the 85 promises, four have been rated as completed. Of these 85 promises; 10 were focused on education, 8 dealt with health, 12 focused on the economy, seven highlighted agriculture and forestry,12 dealt with infrastructure development,” Jarwolo said. “One highlighted transportation, five on justice and human rights, four on youth reorientation and empowerment, three on security and national defense, five on foreign policy and diplomatic relations, four on decentralization of institutions and systems, three on gender equality, five on senior citizens and physically challenged, two on reconciliation and four on accountability. Jarwolo named the four promised achieved as the payment of the West African Examination Council (WAEC) fees for all students who sat the exams in 2018 across the country, renovation of the John F. Kennedy Memorial Hospital, ensuring the passage of the Land Rights Act and reduction of salaries for public officials of the Executive Branch of Government. However, he said, 28 of the remaining 81 promises, are rated as ongoing, 38 as not started and 15 as not rated. These promises, according to the Naymote boss, were categorized based on four scales which include completed, ongoing, not rated and not started. “This report has rated 28 promises as ongoing. While this number is significant, it is important to state that some of the 28 ongoing promises were initiatives undertaken by former President Ellen Johnson Sirleaf’s government. For example, the deployment of Peacekeeping Mission to Mali started under former President Sirleaf government but the mission has been maintained and the number of soldiers (AFL) has been increased under the current administration,” Jarwolo added. Strengthening emergency preparedness and response mechanism and institution to prevent diseases as well as improve childhood preventable disease vaccination coverage. Meanwhile, he noted that the current government has demonstrated efforts to sustain the gains listed above and is currently instituting measures to strengthen emergency preparedness and childhood vaccination across the country. 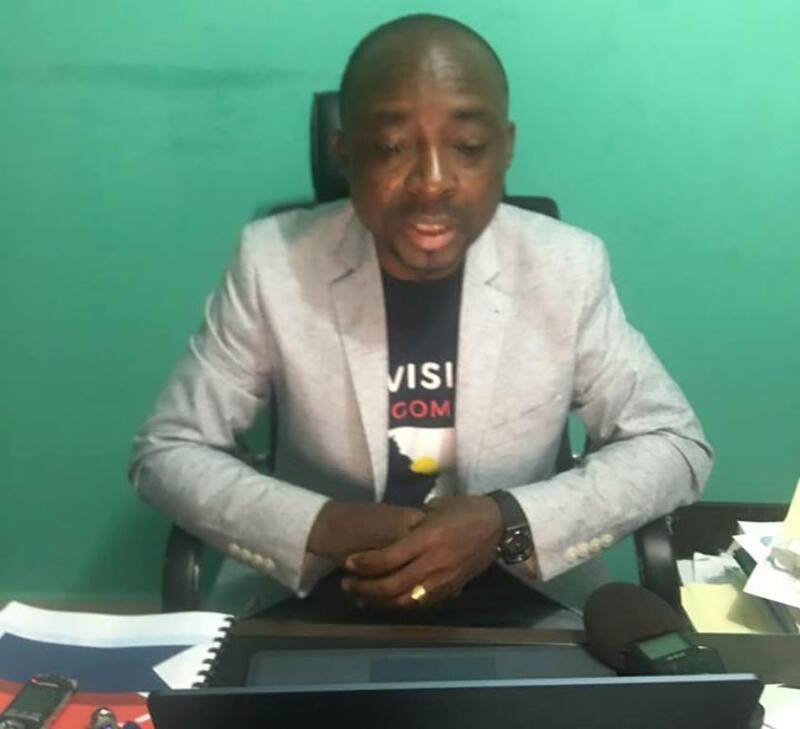 The Naymote Executive Director said, this is the first time that the President Meter is being used in Liberia to monitor, track and document progress made in the implementation of campaign and post-campaign promises. He said government has been in power for almost a year and this report has shown that whie four promises have been completed, 28 others are ongoing. If efforts stay on course, these twenty-eight promises could be completed over time. Naymote Executive Director noted that the overarching objectives of the President Meter Project are to promote democratic accountability, improve government’s performance, strengthen public service delivery, counter misinformation, educate citizens on what the government is doing, and to create a line of communication between the governed and the government.